Disclaimer: All thoughts & opinions are my own. 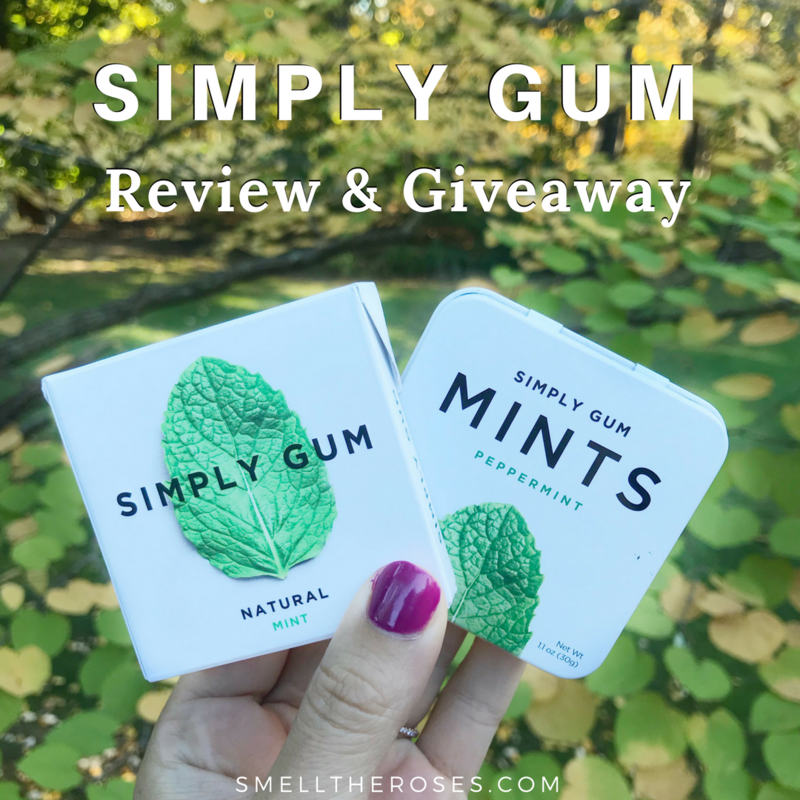 I did receive some of these products from Simply Gum in return for my honest review. However, I have been using and loving these products long before speaking to the Simply Gum team! You may enter the giveaway anytime between November 10th and November 21st 11:59 pm EST. (3) winners will be randomly generated using the Gleam Plugin and announced November 22nd at approximately 12:00 pm EST on this blog post, Instagram, Facebook, and Twitter. I run giveaways for my readers who are genuinely interested in the products I am offering. Entries completed with social media accounts used solely for giveaways will not be counted. Although the giveaway winners are randomly generated, if you are chosen as one of the winners and I see you did not follow this rule, I will manually invalidate your entry and have a new winner randomly generated. Once the winners are selected, I will personally contact him/her with the email address he/she used to enter the giveaway in order to obtain his/her shipping address. If no response is made within 48 hours, a new winner will be chosen. Have you ever considered what your favorite mints or chewing gums are made of? I know I never did until I came across Simply Gum at my local Whole Foods. While waiting to check-out, I remember picking up a pack of their gum and being fascinated by the clean/simple ingredients. I bought a pack and quickly fell in love! It made me question what was in my favorite Trident and Orbit gums. After doing some research, I couldn’t believe how “dirty” the formulas are of conventional gum products. Aside from artificial flavors, colors, and preservatives, the most concerning listed ingredient is “gum base”. What exactly is gum base? Good question. The FDA allows 46 different chemicals to fall under the umbrella of “gum base” but does not require manufacturers to disclose which ones they used in their gum. Investigators have found most conventional gums are made of a mixture of synthetic elastomers, resins, plasticizers, and fillers. In other words, you may be unknowingly chewing on a mixture of plastic, glue, or gelatin (anyone else grossed out?! 🤢). 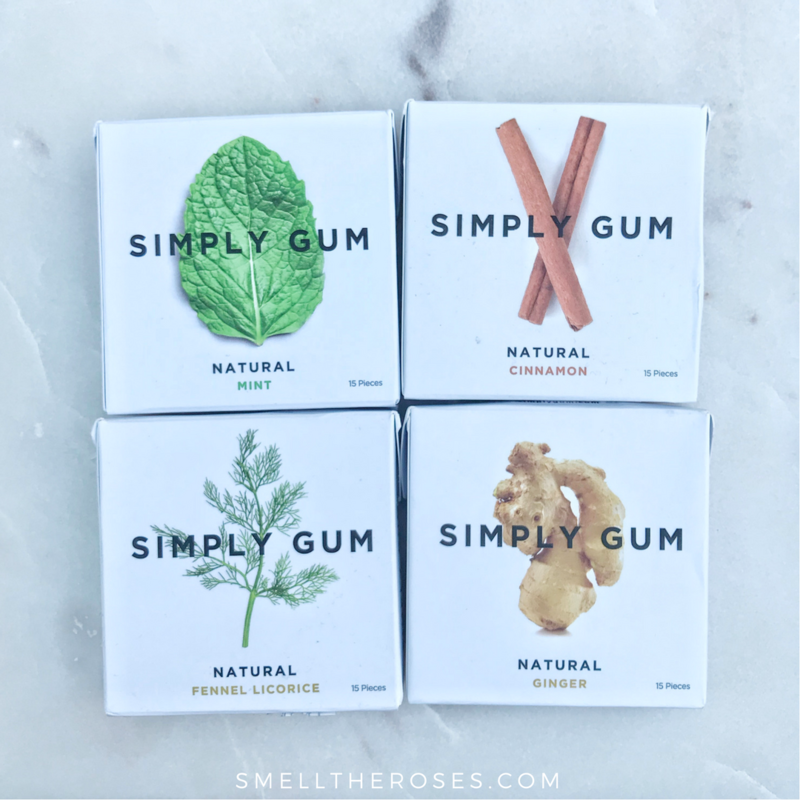 What makes Simply Gum different? They use only 7 completely natural and easy to pronounce ingredients in their chicle base gum! That means it is free from plastic, aspartame, or anything synthetic. The chicle base is made from the sap of the sapodilla tree making it 100% biodegradable and therefore, better for the planet! 🌎 To top it all off, Simply Gum only uses natural flavors to give their gums their yummy taste. Pictured are 4 of the 6 chewing gum flavors offered by Simply Gum (not pictured: Coffee & Maple). All of the flavors are made of the same base with their only difference being which natural flavor is added. The mint and cinnamon are my personal favorite but they are all great! These gums have become a permanent addition to my purse! Each package comes with approximately 15 pieces of gum. As you can see, the gum is naturally brown since it is made from chicle base instead of synthetic man-made materials. 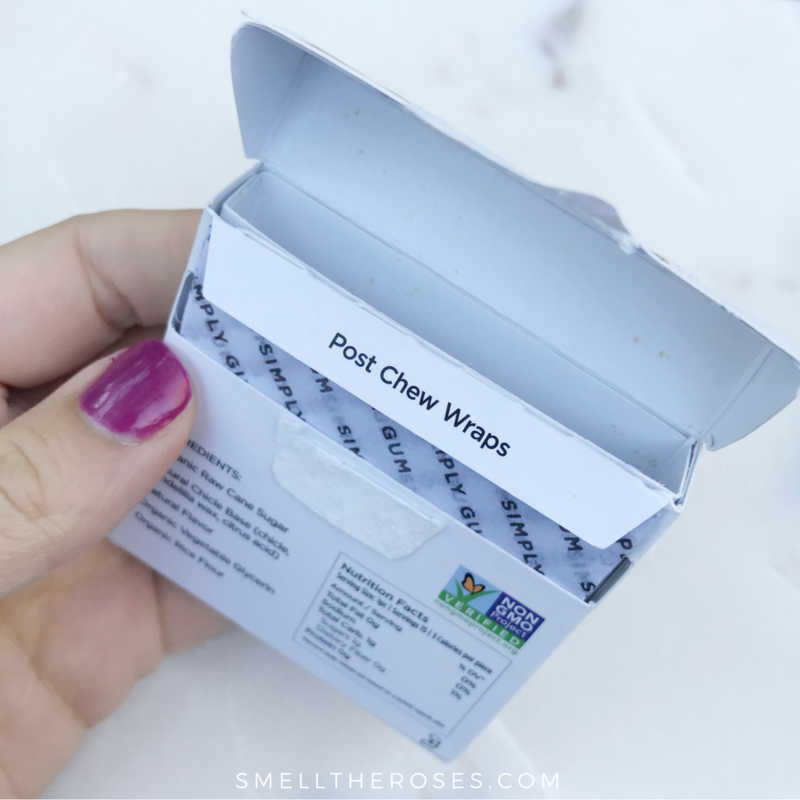 One of the extra special details put into this product is the post chew wraps! In my personal experience, the gum tends to stick to your fingers after you chew it so I love these included biodegradable wrappers. 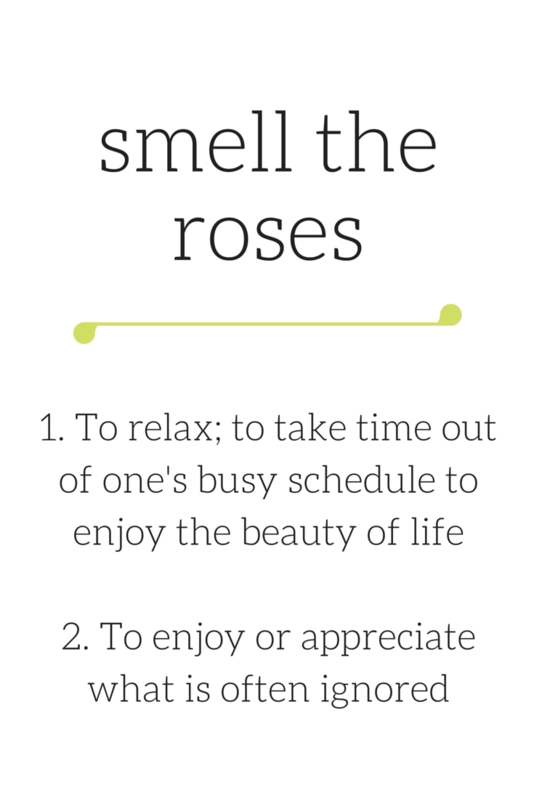 It’s the little things that make all the difference. Vegetarians and Vegan Beware of Conventional Mints — Until recently, I never paid attention to the ingredients in my favorite mints. 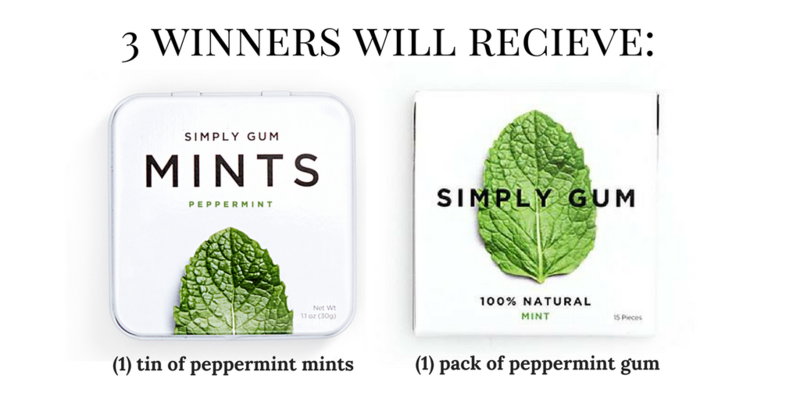 However, when Simply Gum launched their new all natural mints, again I was prompted to pay more attention. 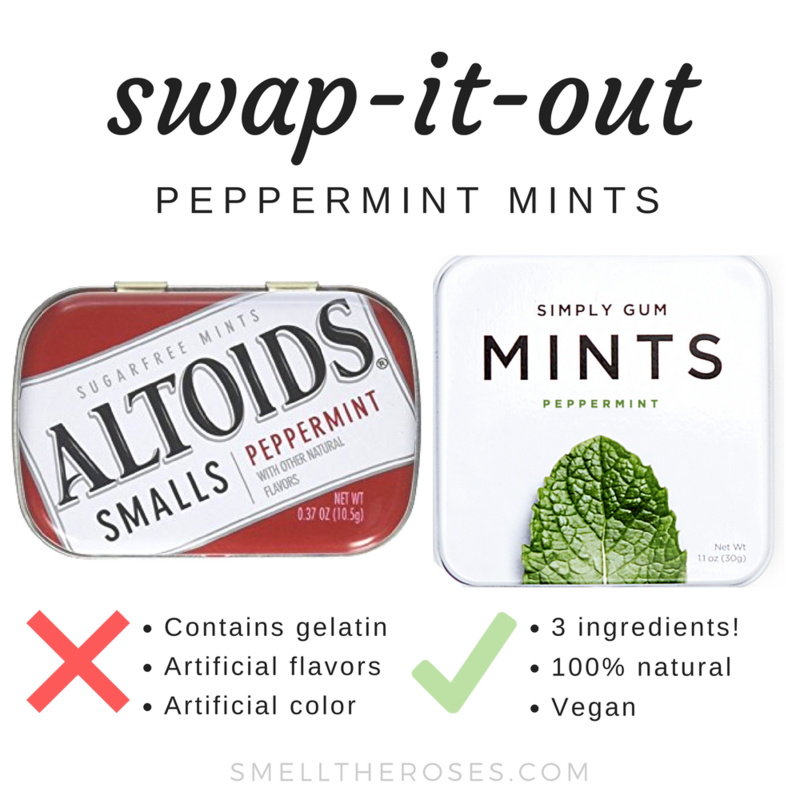 To my horror, I discovered Altoids and many other mints contain gelatin: a protein obtained by boiling skin, tendons, ligaments, and/or bones (typically from cows or pigs) with water (Source: PETA). Be right back as I go vomit.. but seriously, how gross!? As someone who follows a plant-based diet, I never would have thought to be suspicious of my mints containing animal products. 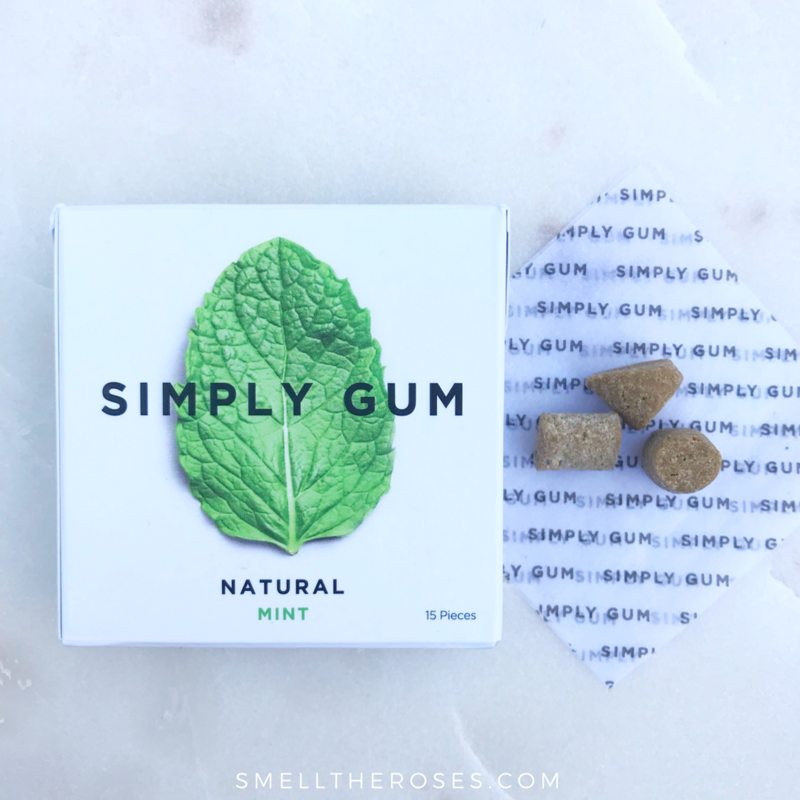 Simply Gum’s Mints are 100% Vegan! 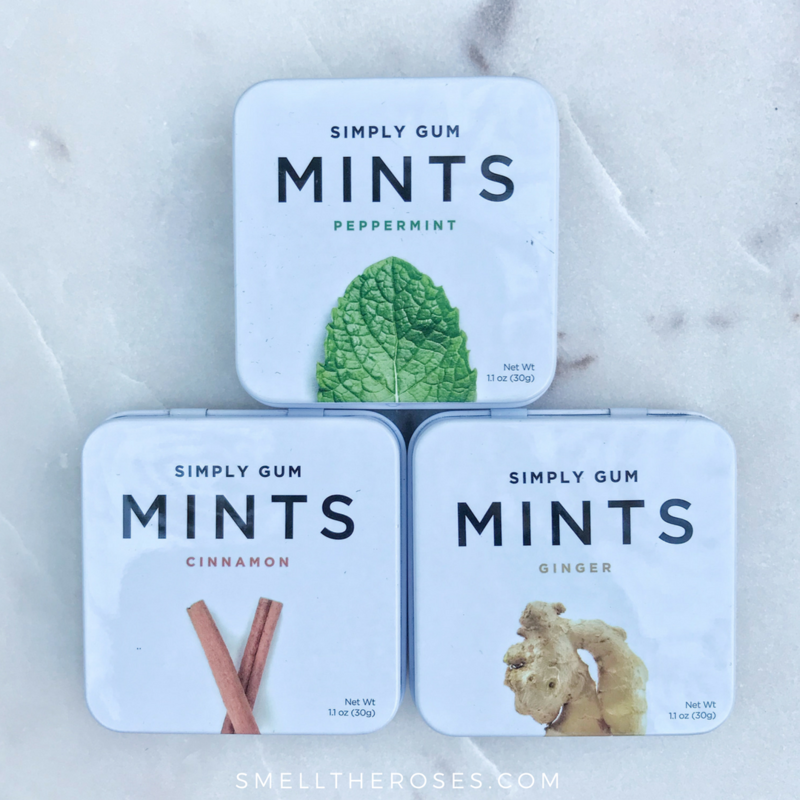 — Made with only cane sugar, calcium stearate (vegetable based binding agent), and all natural flavor, these are most definitely the cleanest and simplest mints on the market! Even with such a simple formula, these mints are strong and will leave you will fresh breath. It goes to show you, all of those added ingredients found in conventional mints are simply not needed. The original mint flavor is definitely my favorite, but I love all 3 flavors! The tin is perfect for sharing and how gorgeous is their branding?! If you haven’t gotten your hands on these yet, you have to ASAP! I’m personally more of a mints girl than a gum girl so these are my absolute favorite and are always in my purse. Each tin comes with 45 pieces so these mints will last you a long time! 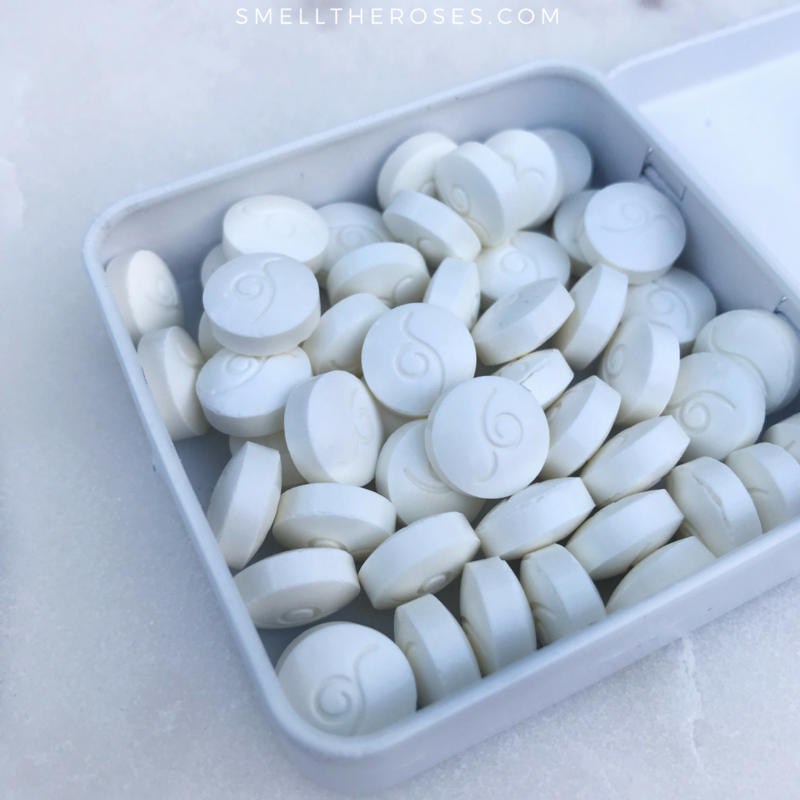 I’m always sharing them with my friends and they have never noticed they were any different than conventional mints – that’s proof they are just as effective! 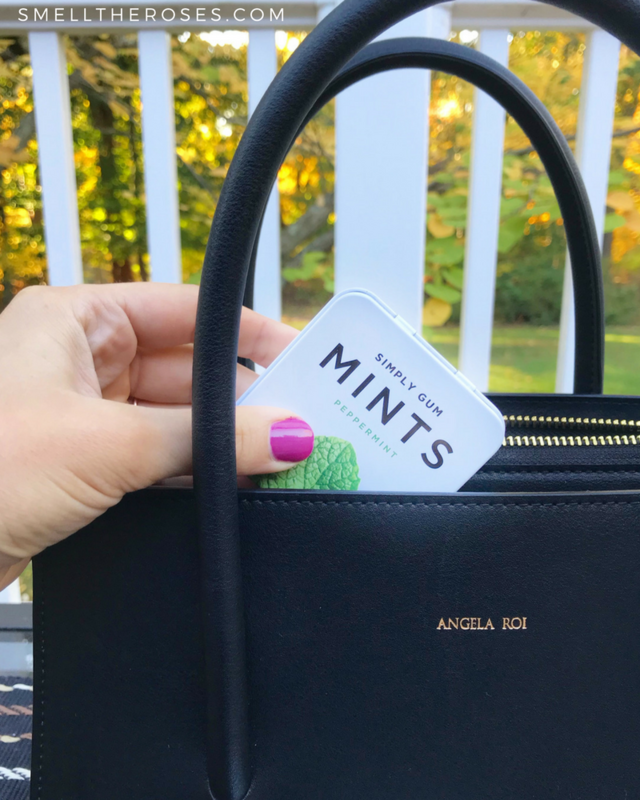 The Simply Gum Mints are the perfect addition to my vegan leather Angela Roi bag! 👜 I always have them and my gum on hand. This giveaway ends November 21st at 11:59 pm! Good Luck! As always, if you have any questions you can email me through my contact page. 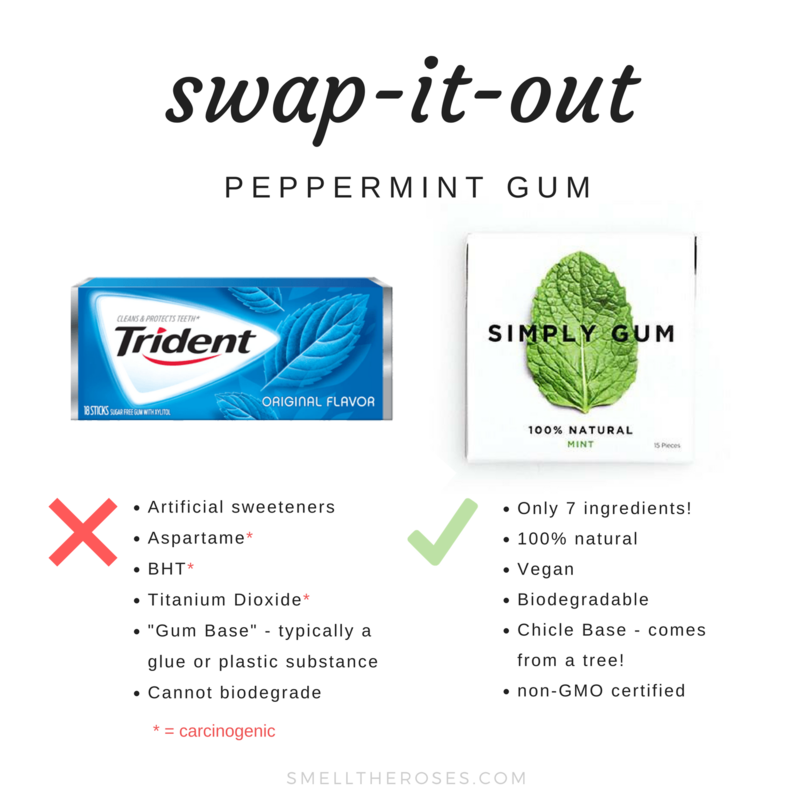 Did this post convince you to switch to all natural chewing gum & mints? Let me know in the comments section below!